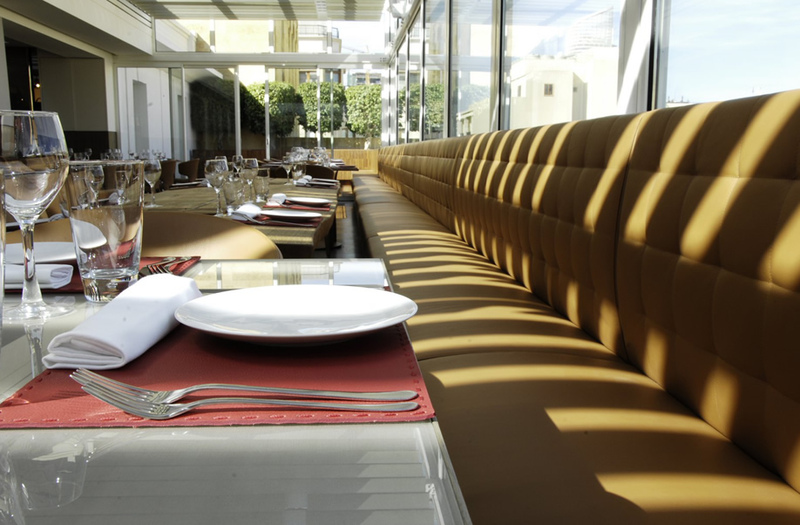 People restaurant is easily the most popular lunch spot in Downtown Beirut. The place offers gourmet dishes that creatively combine local and international ingredients. The restaurant’s interior is both comfortable and stylish, with chairs and sofas upholstered in soft camel-colored leather and a long bench spanning the entire length of the restaurant. Warm taupe tones – on the parquet floors and the bar’s marble countertop – combine with extensive use of glass to provide both a cozy atmosphere and an endless sense of space.